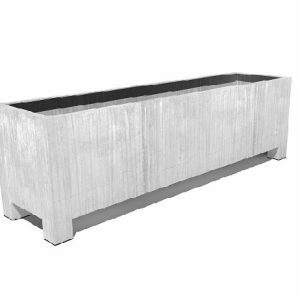 Hot dipped steel planters with a protective zinc coating to prevent rusting. These are popular in commercial spaces and contemporary gardens. Our Galvanised Steel Planters are a popular choice for contemporary gardens due to their unique and weathered look. Each metal planter is put through a hot dip galvanisation process whereby a coating of Iron Steel is mixed with a layer of Zinc. This produces a strong material with a unique look that can protect itself from corrosion when placed outdoors. High-quality and beautifully finished, our large Steel planters are a reliable and highly popular choice for planting outdoors. In our hot dipped range we have a mix of sizes and 3 versatile shapes; square, trough and cylinder. Galvanised metal troughs are ideal for public gardens or a commercial environment, with large sizes available to plant a wide range of trees. Our custom containers can be fitted with 90mm feet to raise the planter off the ground and each product comes with a 5 year warranty. Let us know which style and sizes you’re interested in and we’ll get back to you as soon as possible with a free quote. 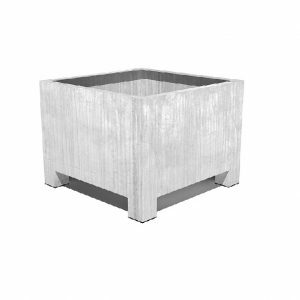 Please contact us for further information about our Galvanised Steel Planters. 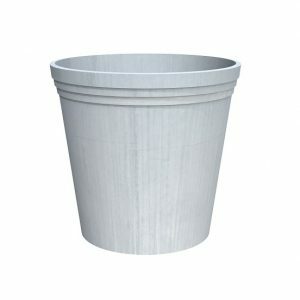 If these are not quite what you’re after, check out our other metal pots in our contemporary collection.